Woodland Mills offers a full range of well constructed, easy to use portable sawmills and sawmill trailers to meet your milling needs. Whether you are a hobby woodworker, have some big projects on the horizon or want to earn some extra money, we have the right sawmill for you. Our team of North American engineers have designed each sawmill to be the highest quality, best valued in it's class industry wide, offering the same precision cutting abilities as much more expensive mills. With the most customer sawmill reviews of any other company, find out why so many people have selected a Woodland Mills sawmill to help them tackle their projects and bring their visions to life! 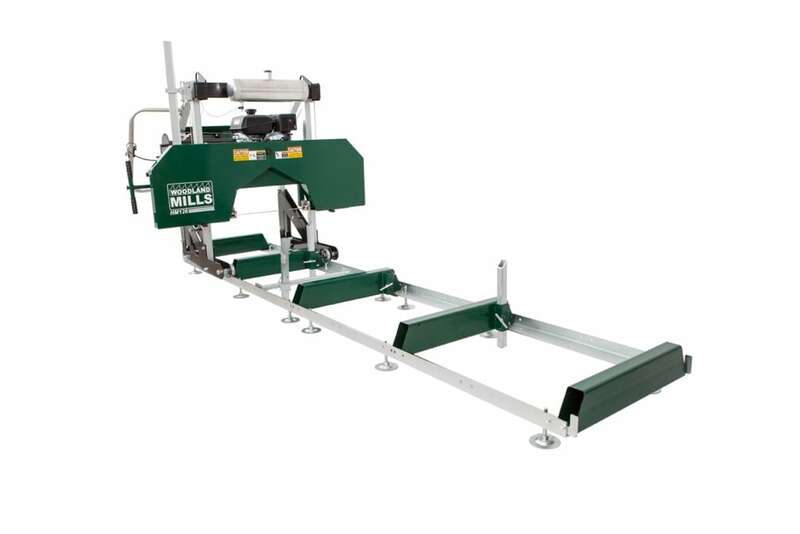 Woodland Mills has designed the HM122 sawmill for budget minded customers looking at getting into milling their own lumber at an exceptional price point. 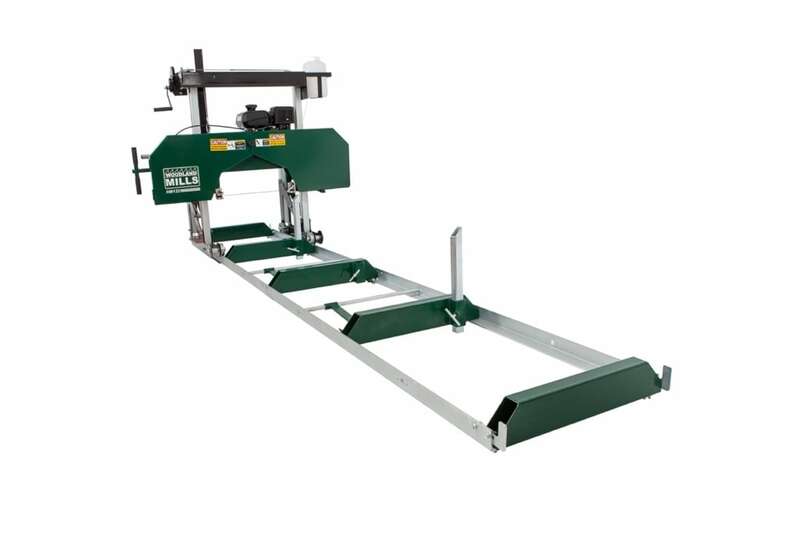 Based on our very popular HM126 model, the HM122 offers hobby sawyers an easy to use, well engineered sawmill with the ability to mill logs up to 22” (55cm) in diameter and 10’ 4” (3.1m) in length. The HM122 also supports an unlimited ability to extend your track to handle milling logs of any length. 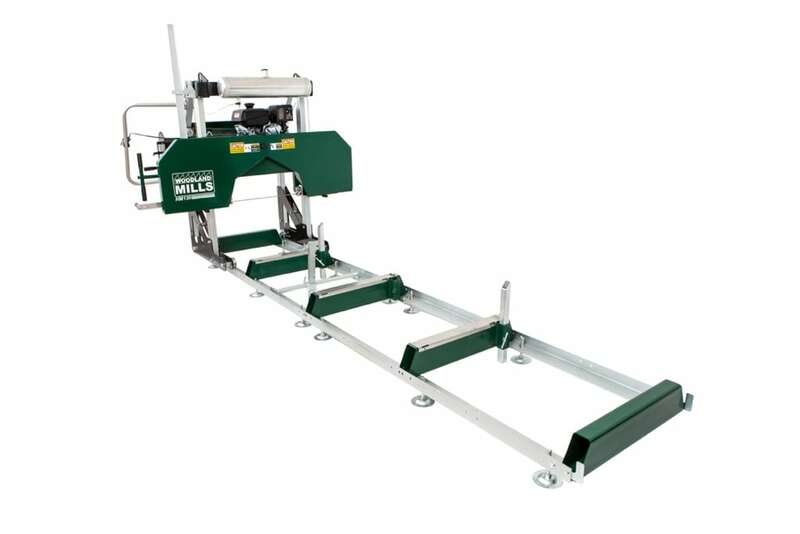 The HM126 is Woodland Mills flagship portable sawmill and was designed to provide sawyers a well engineered, high precision mill that can efficiently convert logs into lumber for an affordable price. The heavy duty HM126 frame can be equipped with your choice of either a 9.5 HP or 14 HP Kohler gas engine and offers the ability to mill logs up to 26” (66cm) in diameter and 10’ 5” (3.1m) in length yet is versatile enough to skim veneers as thin as 1/16″ (1.6mm) for any furniture building projects you may have in mind. Additional tracks can also be purchased to increase log length capacity if required. Its durable construction is built to last and will provide sawyers with many years of milling enjoyment.